As a cycle campaigner I occasionally take the odd day off on holiday to go to a meeting that interests me. Today was one of those days. The Glasgow Centre for Population Health (well worth a look) was holding a day discussing active travel, something close to my heart. I really like the work that comes out of the GCPH, so I decided to pop along. It also turned out that the Minister for Public Health (Maureen Watt) was going to be there too. No. The 'moment' was not anything to do with the minister. In fact her speech was exactly as you would expect, telling us how great things are (hmm) but at the same time accepting (just a little bit) that more needs to be done. The 'moment' came before that. I entered the venue, collected my badge, distributed POP leaflets and said a couple of hellos. I then looked for a place to sit down. Hmm, I'll sit near the front.....much easier to ask awkward questions from there.... So I spot a table, notice someone is already sitting there that I don't know, and make my way over to take a seat. We both say our hellos and I quickly introduce myself as a POP campaigner. The gent hadn't heard of POP before (what!?!? ), so I give a quick 30 second, this is who we are, this is what we stand for and this is what we do, as I hand him a leaflet. The gentleman in question introduced himself as working for Glasgow City Council, for the roads department. But you don't pay road tax. Damn. I'd left my Bingo card at home. Fortunately at this point the gentleman decided that it was time to get a coffee. I was relieved as I wasn't sure I could take any more. It's really frustrating that you cyclists don't appreciate the cycle infrastructure we give you. Each time we give you something you keep telling us you didn't ask for it. Umm, yeah, that's because you THINK you know what we want, you don't actually ask us what we want, you don't listen to us when we tell you what we want, and you go a build utter sh1t and then you're surprised when we don't want it!! Remember, he works in roads at Glasgow City Council. We also heard about how people couldn't cycle short distances without getting sweaty as he used to work next to a smelly cyclist. Perhaps I should have offered to take him on a ride some time, it did cross my mind, but to be honest, I don't think he would have come, and I could tell that we were so far out of sync, we might have ended up having a wee 'set too'. We parted ways at the end with a hand shake. Who was he? Actually, it really doesn't matter. I suspect that he is one of many within the council who think this way, and my experience suggests that this approach goes all the way up to some of the councillors. Glasgow has a long, long, loooooong way to go unfortunately to catchup with the 21st century. I must admit though, I did do a wee Google search of the gentleman when I got home. Low and behold, the first item in the Google search brought up one of his social media accounts. His latest entry confirmed that he had signed the petition to reinstate Jeremy Clarkson to his BBC job. I had an incident recently on my way to work, one which some of you may have seen. Have a watch here. I cycle that road every day and the vast majority of the time I don't have any issues. Most drivers keep a distance, which is important here, as I need to slow to enter the cycling lane at the end. This particular lane is a famous one, often filled with mud and standing water, and was one of my entries for the #glasgowcyclenfraday. On this particular occasion it wasn't too muddy, but there was a film of muck and some deep standing water, so I have to reduce speed before entering it. Thus, this is not a good place to have a car close to your back wheel. Not that there is a good place for that of course. I am unfortunately writing to you with regards to the driving of one of your livered vehicles on the 10th March at approximately 8:30am. I cycle to work, and as part of that journey travel down Balshagray Avenue before turning off using a designated cycle lane onto Balshagray Drive. On this particular occasion I noticed a white car attempting to overtake me on approach to a traffic queue. I signalled with a palm facing back gesture that there was no room for the overtake. At this point the lady driver slowed down and pulled to a stop behind me. I pointed out, in a friendly manner, that there was no room for the overtake. The lady ignored me and only yawned. Upon setting off once the lights had changed the driver, instead of giving me ample rear clearance, started driving closer to me, well within the suggested minimum of 2 seconds. At this point I signalled further for the driver to pull back, at which point the driver got closer and for some reason put her hazard lights on. I felt literally ran off the road, and was understandably furious. Having faced driving of a similar nature in the past I wear a helmet camera and have a rear camera on my bike. Therefore, I have footage of the incident which can be viewed here ( https://www.youtube.com/watch?v=Jen687tXBxA). I would be interested to know why the lady driver felt the need to drive with this proximity to my rear wheel. Does she understand how driving in that way is not only intimidating, but particularly dangerous? Why did she put her hazard lights on? I would also be interested to know what action you as a company will be taking to ensure that there will be no incidents of this nature in the future. I have not received a reply to this letter at the time of writing this post. I was appalled at the dangerous driving from one of your drivers (see https://youtu.be/Jen687tXBxA). This has certainly changed my mind about where I will be buying my new kitchen. Sorry you feel that way Joe. We did nothing wrong the cyclist was cycling in the middle of the very busy lane in morning rush hour not allowing us to overtake and holding up lots if drivers behind us. A very selfish cyclist out to proof points. The cyclist has lots if the same videos cycling in the middle of the road upsetting lots of drivers. The police should have a word with him, as much as everyone wants a safe journey to work he is not showing any respect to other road users by cycling in the middle of the road as all his videos all show clearly. I'm sorry you feel that way sales@kitchenbathroomdesigns and am quite franky disgusted by the tone and ignorance shown in your email, which gives the impression that you have a complete disregard for your fellow human beings. The cyclist in question was following the government guidance which can be found by a simple google search at the link below. The police should have a word with your driver for dangerous driving. As this person is driving one of your liveried vehicles and is therefore representing your company, you may wish to suggest that they try reading and following the guidance in the highway code as is required under the conditions of thier licence. I look forward to purchasing a kitchen from one of your competitors in the near future. Yes we checked out this cyclist he has hundreds of u tube videos all with the same complaint. All in the same area. 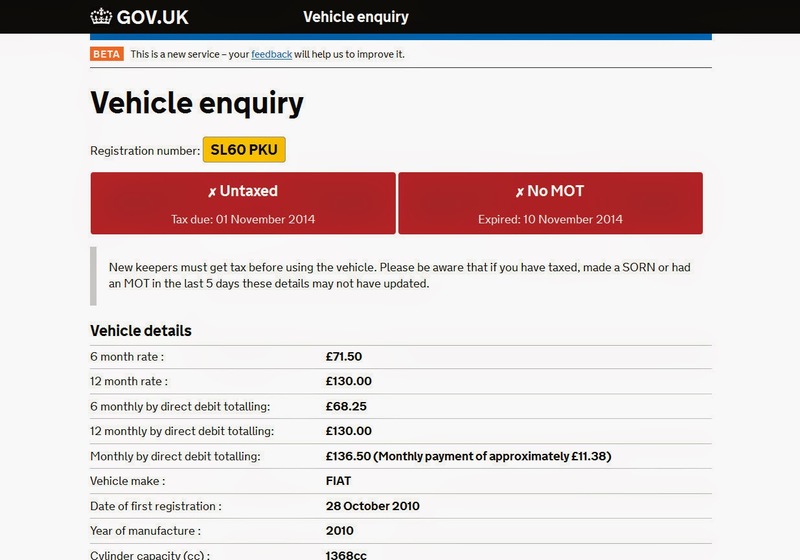 Upsetting road tax paying motorists. He clearly wants to command the road and shows no respect for other road users. At this point Joe contacted me. I wrote to you last week with regards to the driving standard of someone driving one of your livered vehicles. I have yet to hear back. However, someone else contacted you about the driving they saw in the video and they forwarded me on your responses. Please see these below. I write a blog about road safety with specific focus on cycling safety which you can find here (http://www.magnatom.net/). I feel your response is definitely worth publishing. I would however, like to allow you a chance to respond directly to me before I publish my blog on this particular incident and your response to the other gentleman. Therefore, I would be grateful if you could reply to my original e-mail and perhaps comment on the thread below so that I can include that in my blog. I plan to publish this blog either tomorrow evening or Wednesday evening. Just a last wee reminder I was planning to blog about this incident and your response below. If you have any issues with me doing this or if you wish to add any comment please send them to me by the end of this afternoon. Yes we do Dr David Brennan have an issue with you publishing an email sent out to your friend and posting out your videos online and internet bullying. We are currently speaking to our company solicitor about a claim for loss of business and company damage as we have received emails from potential customers stating so. So let me clarify the situation. I am (allegedly) internet bullying the company by posting a video of what happened in a public place and for asking the company to respond to my complaint. That is all I have done up until now. This blog itself serves as a record of that incident, and of the correspondence that the company had (and does not deny having) with a concerned member of public. That member of the public decided that I should know about this, and I have decided that, due to the attitude shown, to share that with you, via my blog. I strongly believe that this information is in the public interest. I believe we all need to know about companies who think cyclists DON'T have a right to choose their road position and DON'T have any rights to a decent amount of road space behind them as a safety buffer, as I think is demonstrated by the driving. I am very sorry to hear that the company might be losing business. That is a shame, as I am sure there are decent employees within the company and I don't want them to suffer. However, in my opinion (and for clarity, I think this is a very reasonable opinion) I think it is very important to highlight attitudes to road safety that appear to depend on the 'Road Tax' paying status of those who are deemed to be in the way. This was correct as of 19th March 2015. The Glasgow Cycling Infrastructure Day Response. It's been quite a while since we had our Glasgow Cycle Infrastructure Day or #glasgowcycleinfraday on Twitter. What?! You don't know what it is? Oh OK, you can see for yourself here. Well, it has taken a while, but Glasgow City Council, though Frank McAveety, has replied to it. Here is his reply. Just a brief note to indicate that the City Council are reviewing the list of measures raised and we are in the process of responding to them. We would hope to address some of them through our cycle works budget and through the general maintenance budget. In terms of overall repairs notification I am sure you are aware of the various ways to contact the Council to deal with specific repairs. I hope they are of assistance and if there are continued problems relating to lack of response do not hesitate to contact me. OK, it's not the most detailed response ever, but it does suggest that there will be individual responses to each of the issues raised. Therefore, I suggest that you all look at the list of infrastructure issues highlighted in the above linked blog and let me know if you've seen any improvement. Oh, OK all the ice and snow will have gone, but are the areas being maintained? Have barriers been removed? Has the infrastructure been improved? If not, let me, and of course Frank know. If we keep quiet, nothing will change. Anyone who has kids will know exactly what I mean by the above statement. No-one or nothing can prepare you for having children and for the ways that they will change your life. My own life is very, very different from what it was pre-kids. Is it better? Absolutely. Am I happy with every change? Of course not. My social life is a shadow of its former glory...(OK not exactly glory.....). Would I change a thing though? Not a chance. I can honestly say that I love them to bits. Some changes though are totally unexpected. One of those was cycling. I started cycling when my first child was born, just as a cheap means of getting to work. It saved buying a second car. Little did I know that I would end up becoming a mildly 'infamous' helmet camera cyclist, and I would help set up a cycling safety campaign. Cycling hasn't taken over my life, but it is certainly a big part of it now. My kids have changed me in another way. There was a time when I truly believed that the roads were fine as they were and that all we needed to do to make the roads safer for cyclists was to ask people to drive better. To educate. Then my kids started growing up and my oldest showed some enthusiasm for cycling. Very quickly I realised that, there was no way I could take him on the roads as they were, and that no amount of driver education would change that. My kids taught me that education wasn't the answer, investment in properly designed infrastructure was. My kids have not only given me great joy, they have show me the way. It's time to give them something back. It's time to stop talking about how we can make the streets safer for them and everyone else. It's time to make it happen. To make it happen though we need to get the message beyond cyclists. We need to spread the word that cycling and designing for cycling isn't about helping a minority of Lycra clad cyclists. It's about making our cities, our countryside and our country a happier, safer, and less polluted place for everyone. We all benefit from safer cycling. Thus we at POP have released a video that we hope will send the message out that cycling and investment in cycling is for all. Its for Katie, its for her family, its for you. Please spread this video. Not just to your cycling friends, they probably already get it. Spread it to your non-cycling friends and ask them, do they want a future dominated by more road, more cars and more pollution, or do they want Scotland to become a people friendly country? Pedal on Parliament. 25th April 2015. The Meadows. Be there on bike or foot, and let's send a message that now is the time to build a fairer Scotland.